Today's New Band To Burn One To is from Nashville, TN. They are Rintrah. They play a heavy alt metal with some psychedelic. Pretty cool stuff. There are 4 songs on their Myspace to listen to and if you like it make sure you get a copy from the band. Rintrah is a four piece band hailing out of Nashville, TN. While their primary influences are progressive and stoner metal with a healthy dose of psychadelia, they do not restrict themselves to any particular genre. Songs range anywhere from 3 minutes stoner rock with strong hooks to 8 minute epics that cover a range of dynamics. 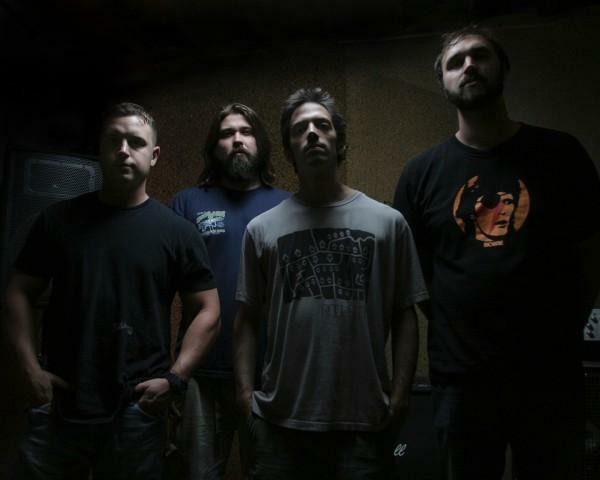 Formed in 2009, Rintrah consists of bassist Jeremy Fleming, guitarist and main vocalist Brett McKee, drummer Caleb Roney, and guitarist Jason Wright. After months of preparation, the band started hitting the local Nashville scene with positive results, playing with bands such as RWAKE, Royal Thunder, Across Tundras, Evil Bebos, and many more. They quickly moved to record their debut EP "Hold Dear the Ember" which is releasing this June. Comparisons to other bands have been all over the map and descriptions of the music vary just as wildly. The band looks forward to venturing out of its home in Nashville and expand live venues across the US. "Their beautifully packaged EP is self funded and released, and the band say they haven’t the funds to make the kind of record they’d like, but if that’s the case then judging by how good these tunes are, with some funding they’d be taking over the world." "”Kallisti” opens like a death march, pulsating drums opening the song up like a tribal ritual. It rotates between sludgy riffing, stoner riffs and intricate rhythms. One thing holds the seven-minute track together – balls-out heaviness. All of Hold Dear the Ember is heavy. Really heavy." "Had we stuck around to polish off another batch of blended brilliance we would have missed one of the most badass new local bands to pop up in a long, long time — Rintrah. You read that right: There's a new band in town, and they are actually badass — not, “We're saying they're badass, but that's because there isn't an adjective in the world that could make indie-pop sound cool," but actual, legitimate, burly riff-monster badass...........Seriously, we've got a new band-crush and their name is Rintrah."